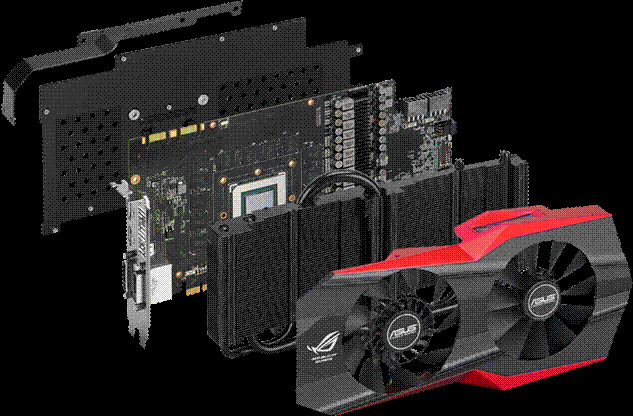 ASUS Republic of Gamers has been known to bring out motherboards and graphics cards that are top-of-the- line with a heavy emphasis on overclocking. 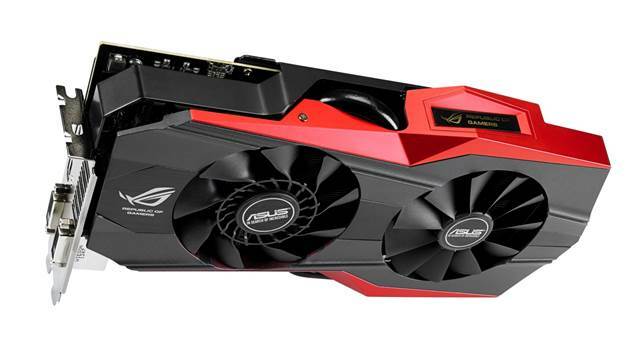 Sticking to this mantra, ASUS ROG has come out with a beast of a card that's based on NViDiA's GeForce GTX 780 Ti; welcome the Matrix 780 Ti Platinum. The Matrix 780 Ti looks gorgeous from the outside with its modified DirectCU II cooler. As with all recent ASUS cards, this one also sports two fans: a CoolTech fan and a traditional fan, to cool its heat sink more efficiently. The heat sink now features five heat pipes of varying sizes (1x 10mm, 2x 8mm, and 2x 6mm) and is larger than usual. Adding to that, ASUS also included a custom backplate. in spite of these changes, the card remains a dual-slot card with a length of around 11.5 inches. 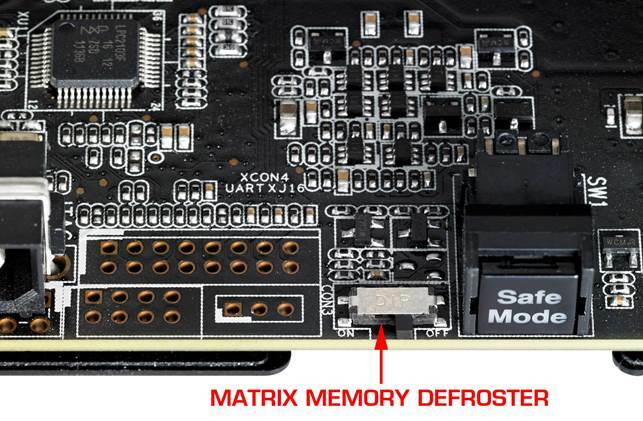 A closer look at the card's PCB reveals the things that make the Matrix 780 Ti Platinum an overclocker's dream. its power phase and VRM have been customized to a whole new level with the inclusion of DlGl+ VRM with black metallic capacitors, and a 14-phase Super Alloy Power PWM design to ensure stability during overclocking. At the end of the PCB are the additional Molex power connector and the Safe Mode switch, which loads the default card settings to ensure that your system will boot up. A toggle switch can also be found for the Memory Defroster feature, which defrosts the card's memory during LN2 overclocking. Lastly, there are voltage read points at the edge of the PCB. The Platinum moniker isn't just for a longer title, as this also denotes that the Matrix 780 Ti comes factory overclocked with a base GPU clock of 1006 MHz (boost clock of 1072MHz) and an effective 7GHz memory clock. As for its connectors, it has a pair of DVi ports, an HDMl port, and a DisplayPort. Power input is handled by a pair of 8-pin PCie connectors. We ran 3DMark (2013) and Crysis 3 to see how well this card performs. On 3DMark, it managed 5358 and 10724 marks on Fire Strike Extreme and Fire Strike, respectively. Playing Crysis 3 on the highest settings at 1080p was great, as this card managed around 45fps. The Matrix 780 Ti Platinum is not for the everyday user, which is evident with its price tag of $1035. This card isn't just made for gaming, but also to break overclocking records. We might not have been able to thoroughly test its LN2 features, but they're definitely there, and we're sure that overclockers will really enjoy such features.